On June 3, a massive volcanic eruption in Guatemala spewed deadly flows of ash that pummeled villages, killed over 150 people, and displaced hundreds of families. Many who lost their homes and livelihoods have been given new housing and a temporary living wage in a nearby city. 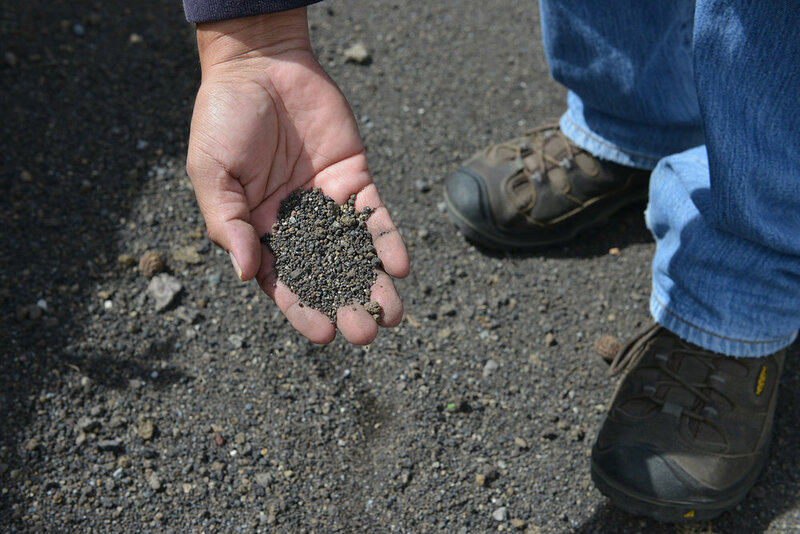 The eruption’s hot ash killed surrounding fields of corn. Now, wild flowers have taken over, rendering much of the volcano’s slope yellow. However, the eruption inflicted more damage than what is immediately visible. During its violent eruption, hot ash fell on fields of corn throughout the area, killing them instantly. For many impoverished farmers living on the banks of the Fuego Volcano, losing one crop meant a devastating lack of income for an entire season. Currently, many of those families are struggling to recover. 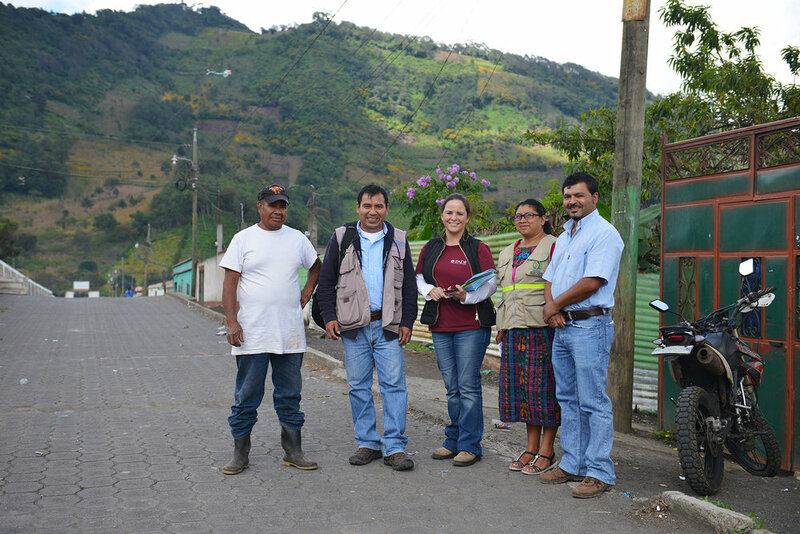 PADF has partnered with the World Food Programme, the Rotary Club of La Reforma, and the UN Food and Agriculture Organization (FAO) to leverage resources and serve the most vulnerable families that lost their crops on the slopes of the volcano. Local community leaders have helped us identify 270 at-risk families who suffered most from the volcano eruption. Many of the families we are serving have children, have no other form of income, and had crops that didn’t survive the eruption’s hot ash. Some are single mothers of several children, some have disabilities, and many do not have the means to overcome adverse situations like a volcano eruption. We are helping those families establish better livelihoods and health through several different activities. Food security: We are distributing seeds to start new crops – and training families on how to diversify crops to make them more resilient. With the FAO’s support, families will also receive trainings on the benefits of starting a community seed bank, which ensures that families have sustainable access to seeds during times of need. 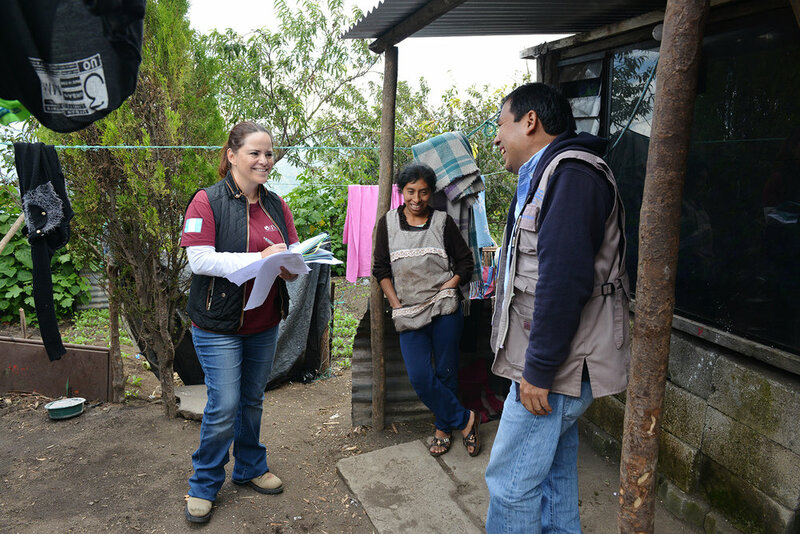 Disaster trainings: 270 families are participating in disaster risk management trainings, which highlight vital elements like evacuation routes and community mapping. Five rural communities are also creating risk maps, which help organize neighborhoods in the event of an emergency. Financial asssitance: 200 mothers are receiving a cash voucher to spend on their families’ wellbeing. 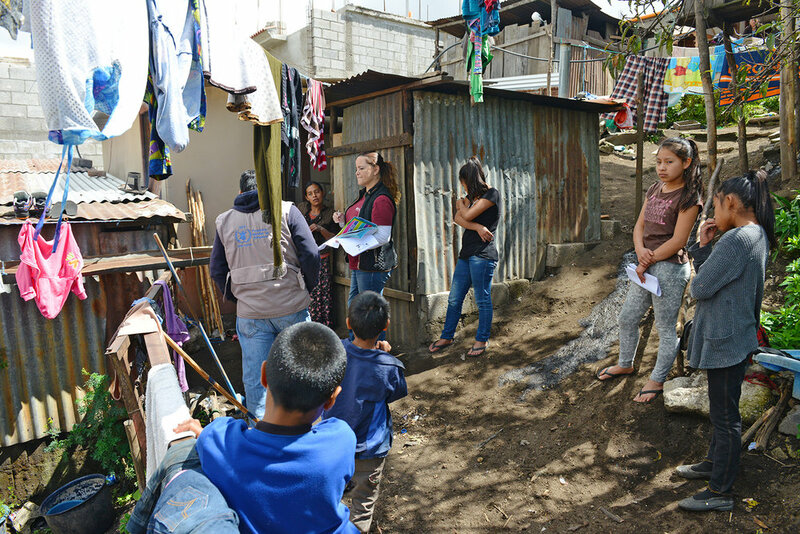 Clean water: With Rotary Club La Reforma’s support, 200 families will receive water filters that facilitate better health. Equipped with seeds to start new crops, a financial buffer, and trainings to prevent future disasters, over 200 families are receiving a much-needed leg up. Although much work is still necessary in these communities, the vulnerable families who were most severely impacted by the volcano can rest easier. PADF would like to thank all of our donors who made this work possible. Because of you, many families on the volcano’s precarious slopes are receiving a kick-start to a safer and more prosperous future. Thank you.